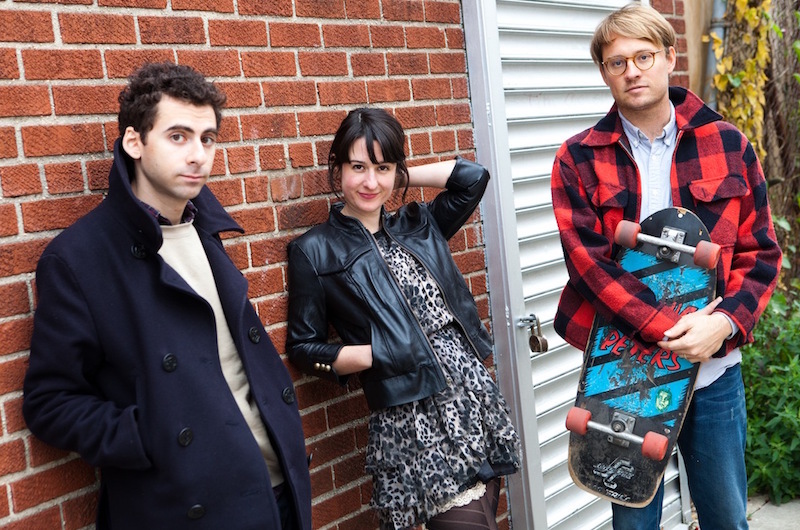 Hospitality is an American Indie trio from Brooklyn, NYC, formed in 2007 and consisting of Amber Papini (vocals, guitar), Brian Betancourt (bass) and Nathan Michel (percussion). The band released their first full-length album on Merge Records in January 2012 to very positive reviews. “Going Out” is taken off the band’s sophomore album, Trouble, which features a darker sound than its predecessor. Hospitality’s trademark pop is still present but with a more stripped-down instrumentation, creating a space where undulating synths come alive and mysterious voices fill the void.